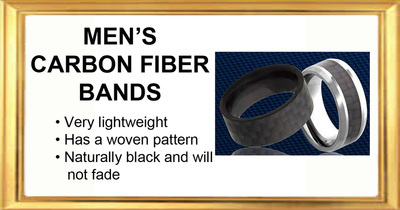 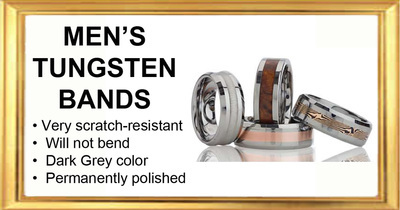 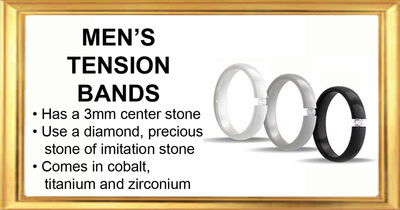 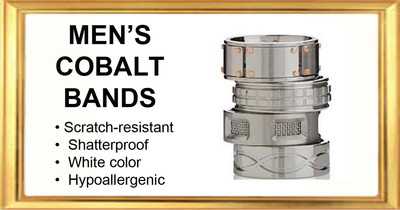 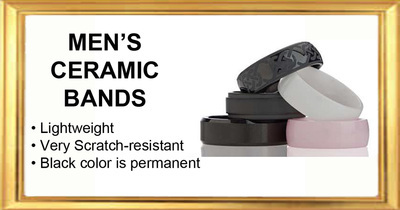 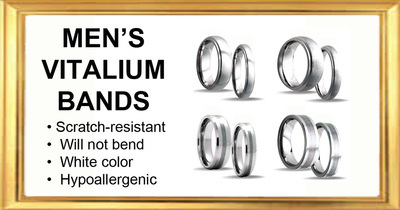 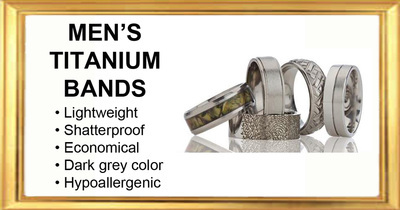 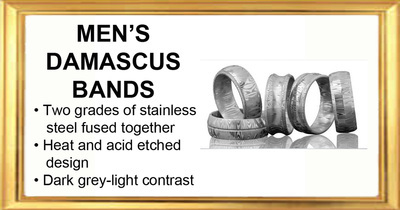 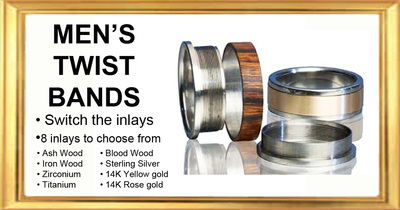 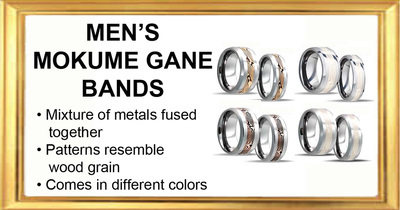 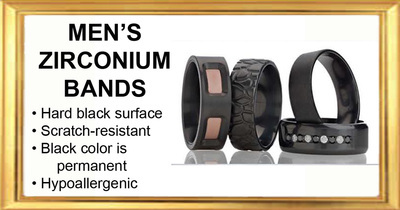 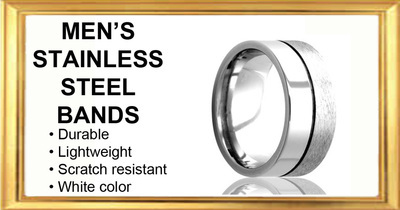 We offer an extensive collection of Men's Bands. 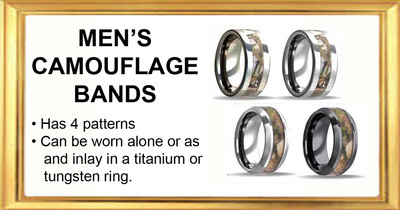 CLICK on the following links to see what interests you. 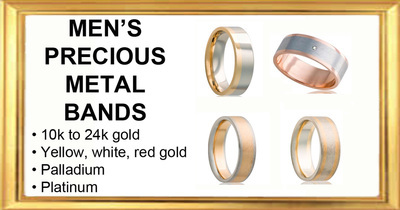 Please come in to see us to see and feel and discuss the different advantages and disadvantages of each type of metal. 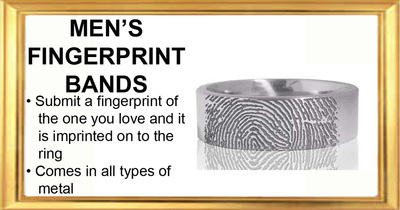 At that time we can also determine your ring size .